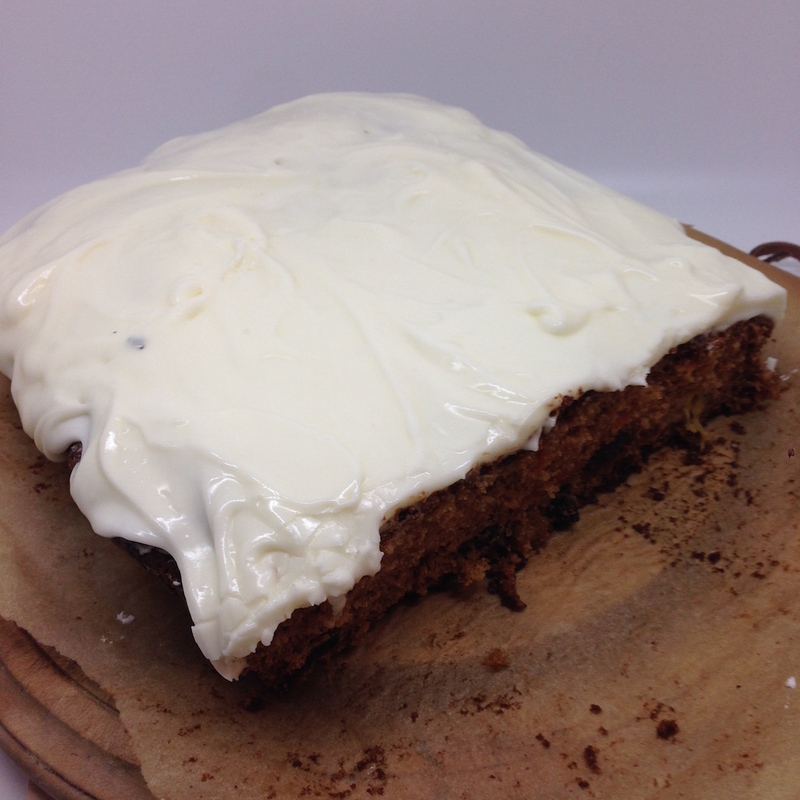 Yet again I have failed in my mission to cook my way through The Great British Bake Off cookbook – I skipped ahead and made their carrot cake (24) which was fantastic. I adapted it a little – I used tinned pineapple instead of fresh as I couldn’t be bothered to drive into town and I didn’t add orange zest as I didn’t have an orange. 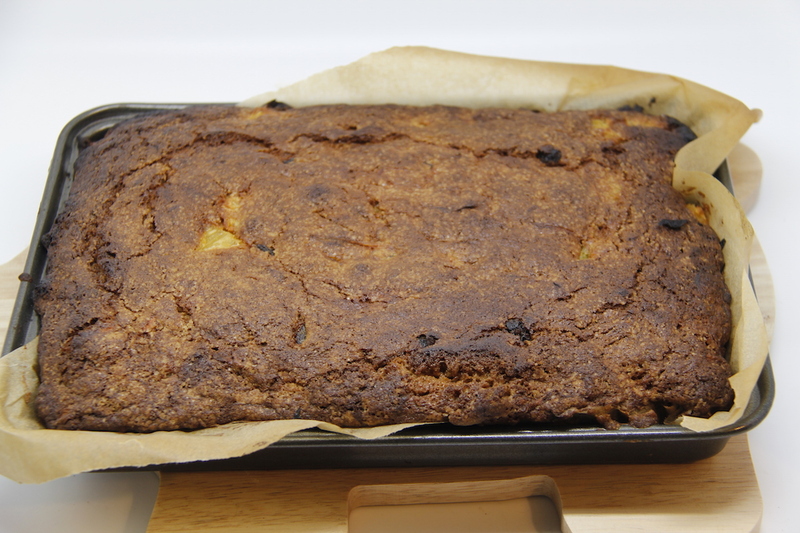 I also added more apricots and used raisins as this is what we had. It is definitely worth making. I took it dog training as you always need cake on a frosty winter morning while standing the in the middle of a field with your dog! 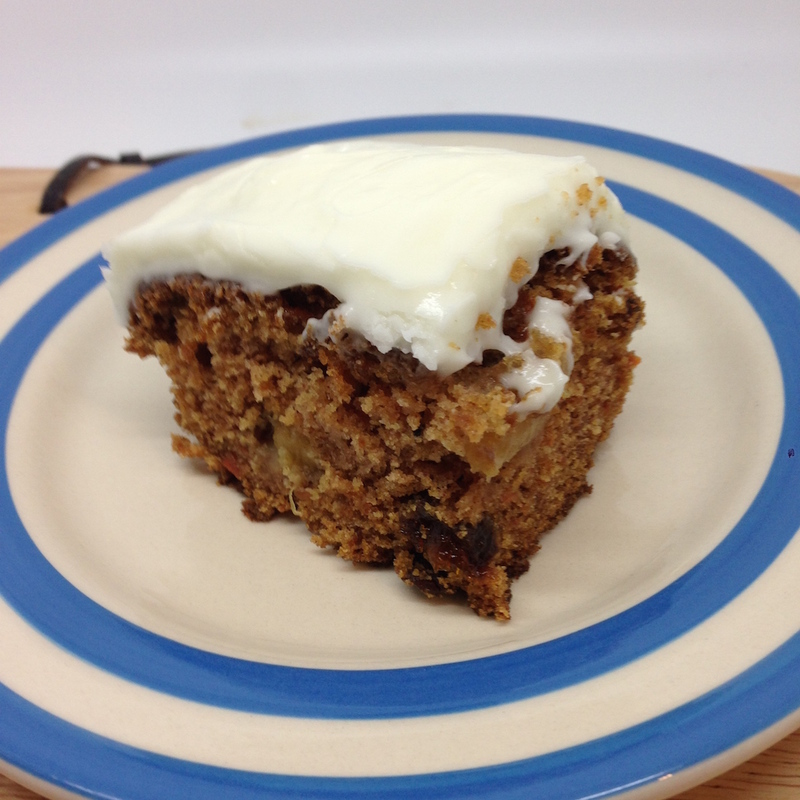 Carrot Cake: 3 medium carrots grated (about 150g), 100g pineapple pieces, 50g dried apricots , 50 g sultanas or raisins, 150g butter, 270g caster sugar, 2 eggs, 275g plain flour, juice of one orange (or about 3tbs of juice from a bottle) 1.5 tsp bicarbonate of soda, 1/2 tsp ground cinnamon. For the icing – cream cheese and icing sugar. Heat the oven to 180C. Put the grated carrot with 3 tbs orange juice. Beat the butter with the sugar until pale and fluffy. Add the eggs and beat a little more. Sift the flour, bicarbonate of soda and cinnamon together and fold in. Add the carrots and stir until combined. Put in a shallow, greased tin lined with baking paper. 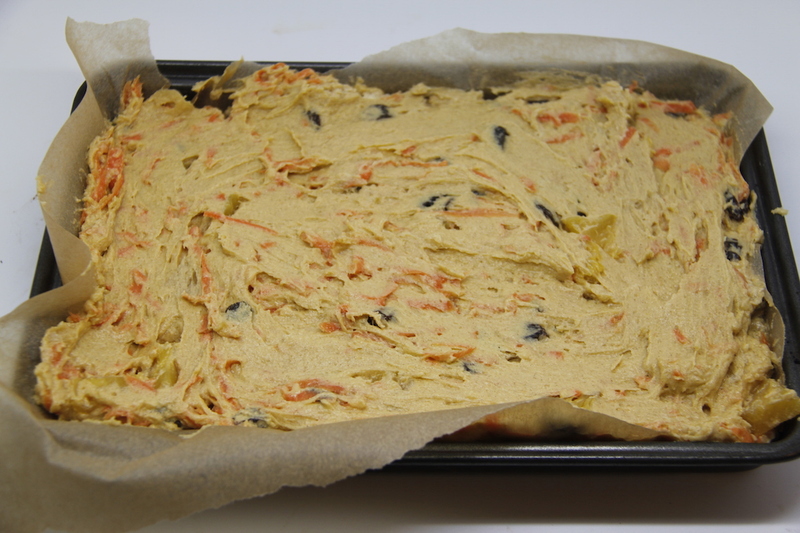 Bake for 30-35 minutes or until when you stick a skewer in the cake it comes out clean. Leave to cool in the tin. To make the icing combine cream cheese and the icing sugar – add enough icing sugar so that it tastes nice to you. Leave to set a little and then spread over the cake. Chill for a little then cut and eat.